In July of 1621, a man lay dying in his bed, in his palazzo on Murano, the glassmaker's island in Venice. This fifty-four year old had recently become a father and his wife Livia was expecting a second child, but the tumor in his throat meant he would not see his two year-old son Gianfrancesco Maria grow up, nor would he live to hold his yet unborn daughter in his arms. His death would also trigger a series of unanticipated ugly events. 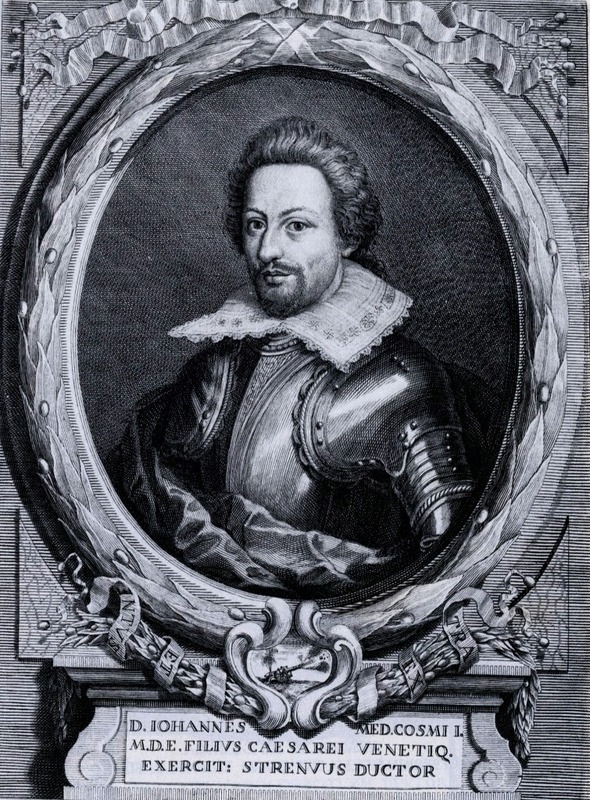 Don Giovanni de' Medici was the son of Grand Duke Cosimo I and Eleonora degli Albizzi. He had been general of the Venetian army and before that lead Tuscan troops in Flanders, France, Hungary and served as ambassador in Madrid. But he was far more than a soldier; he was an architect who helped design the Chapel of Princes in Florence, he was a strong patron of the arts and he was a devoted alchemist. 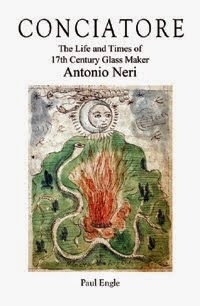 He plays a somewhat tangential role in the life of glassmaker Antonio Neri, yet their paths cross repeatedly through common associates, interests and locations. This post first appeared here in a slightly different form on September 25, 2013.